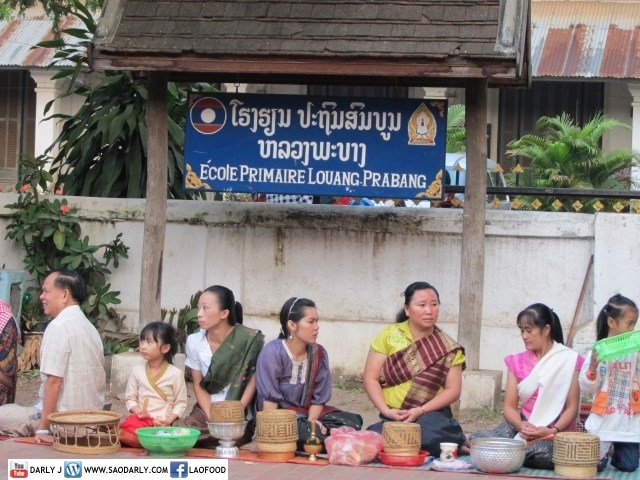 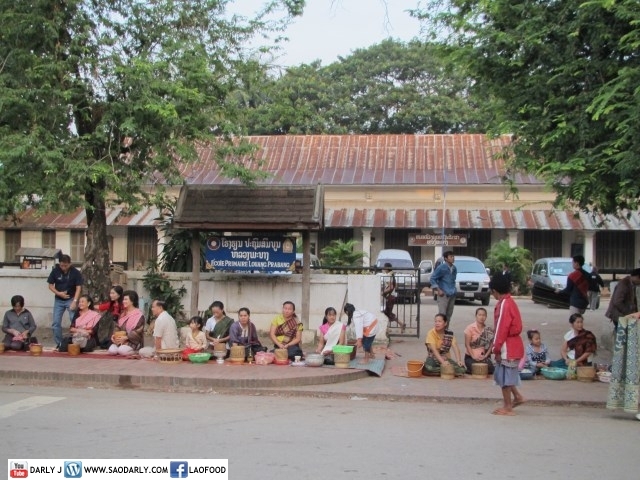 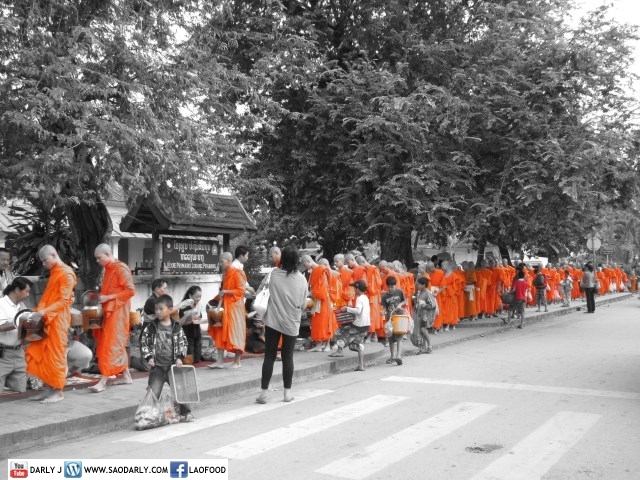 After spending enough time at Wat Mai, it was time for me to check out the Alms Offering at the street corner of Ban Vatsene and later by the Luang Prabang primary school. 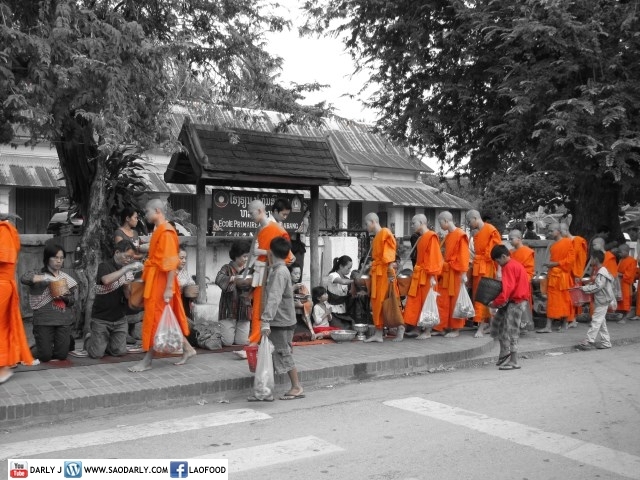 There were more tourists in this area than by Wat Mai due to the popularity of the location. 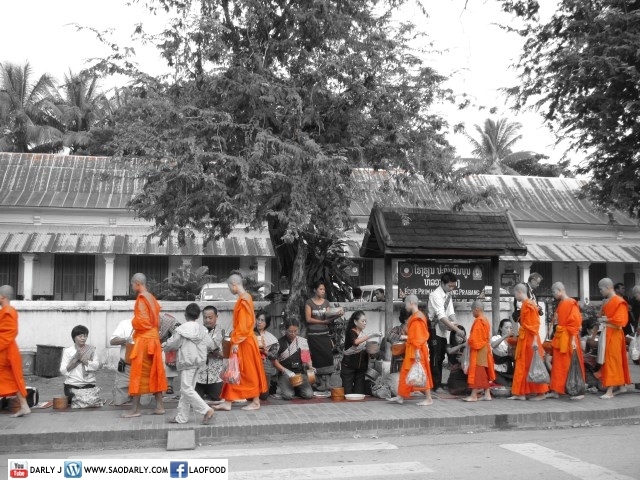 I’ve seen many photos of the Alms Offering on the net, taken by tourists that like to hang out in this area, rather than at Vat Sene. 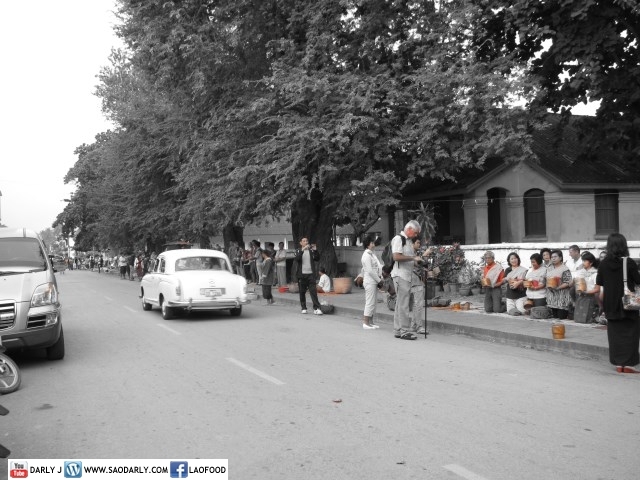 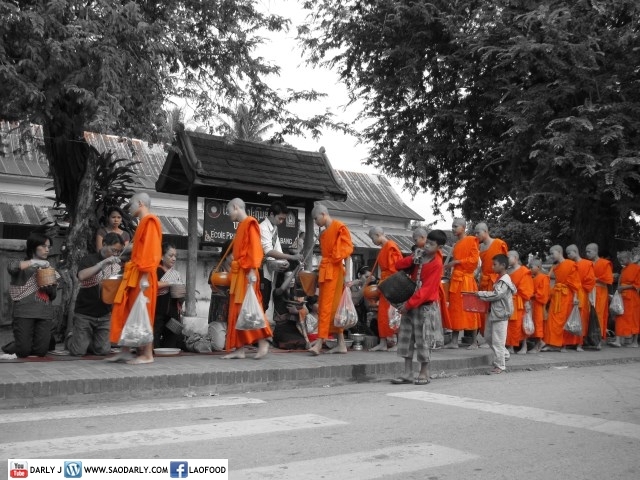 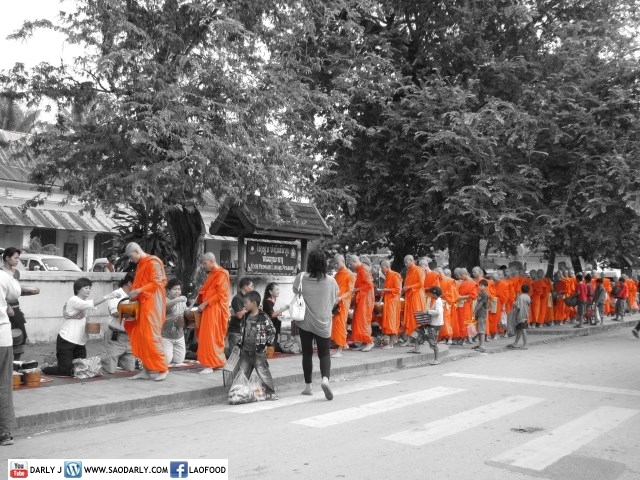 On this particular day, tourists from mainly Thailand took part in the ceremony and few of Farang tourists also took the opportunity to make offering to the monks as well. 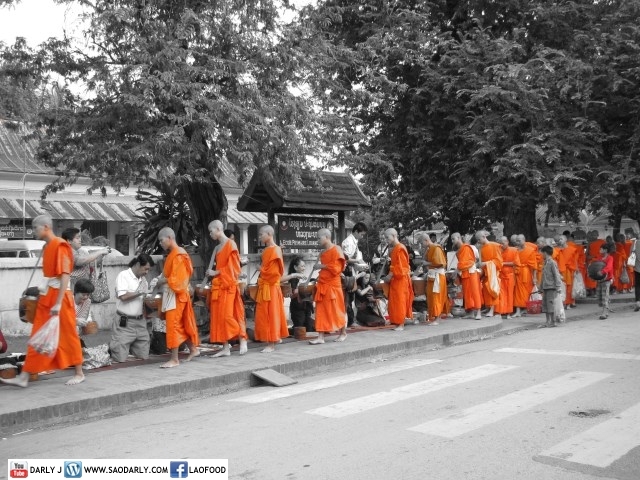 The sad part about today and any other day is the fact that some tourists observe the tradition too close and too personal. 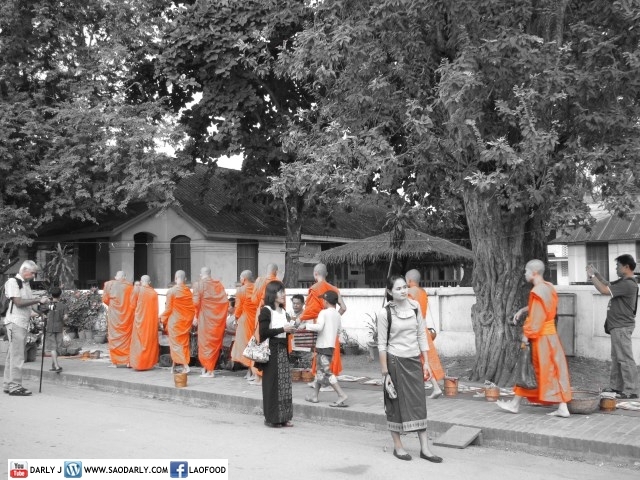 Despite the signs put up all over town about the use of flash, which is consider rude and very disturbing to the monks and laypeople, some tourists still do it, probably due to ignorant of the rules and norms.